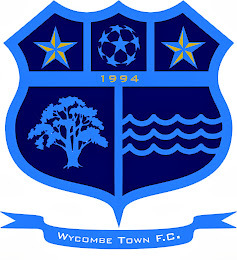 Having won the High Wycombe Premier league title a few weeks ago, 'Town' secured part two of their three Trophy target by picking up the Chesham Charity Cup on Sunday. Playing Belmont from the Chesham League, Town raced into the lead after three minutes and were 4-0 by half time. Belmont had come close a few times but 'Town' held on adding 3 more goals in the second half to end up 7-0 winners. outstanding saves to keep the score at 1 nil before Mark Nugent doubled the lead sweeping home a Leigh Mason cross. Nicol broke through to make it 3 before Nugent and Mason combined beautifully to make it 4 just before half time. The second half started pretty slowly, Nicol grabbed his hat trick stabbing in from close range from Harding's cross shot before a trademark Mitch Woodward piledriver made it 6. Leigh Mason completed the scoring late on with a diving header.